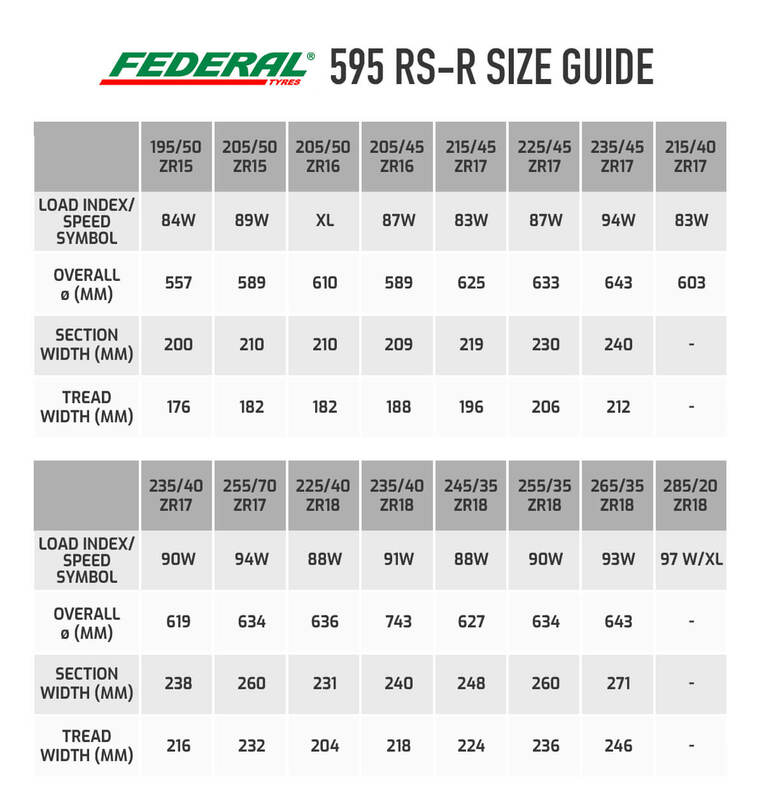 The Federal 595 RS-R is an ultra high performance E marked tyre suitable for use on the track or on the street. Designed for drivers who require flat out performance the 595 RS-R gives high levels of grip without compromising everyday driving comforts. Combining an aggressive tread pattern with a special silica compound the 595 RS-R provides higher adhesion levels and more resistance to aquaplaning to give drivers the best control for cornering, braking and accelerating. A perfect tyre for track day use.